Medical mistakes are more common than most people realize. It’s also likely the numbers are under-reported. As you can imagine, hospitals and other medical organizations aren’t too excited to inform the world of their errors. Depending on whom you believe, there are anywhere from 44,000 to 225,000 deaths resulting from medical errors. Medical errors are one of the top 10 causes of death in the United States! But not all medical errors result in death. Some result in minor inconvenience, minor injury, or serious injury or illness. 1. Medication-related Errors: Dispensing of the wrong medication, giving the incorrect dosages, and adverse drug interactions comprise the greatest number of medical errors every year. 2. Urinary tract infections related to catheter use: Catheter-related infections are the most common infections developed in medical settings. There are many causes, but most are related to poor technique and a lack of sterile conditions. Many of these infections are entirely preventable. 3. Injuries from falls and immobility: These injuries are among the most commonly reported by hospitals and long-term care facilities. Most falls do not result in injury, but the frequency is so high, a high number of injuries do occur. • Severe injuries from falls can also cause immobility-related issues. Those that cannot get up and move around regularly are even more likely to suffer falls, as well as a greater likelihood to experience delirium, bedsores, and deep vein thrombosis. 4. Ventilator-associated pneumonia: A lack of hand washing and proper sterile technique are common culprits in these pneumonia cases. Other potentially preventable causes include the amount of time a patient is on the ventilator and the amount of sedation used. As many as 28% of ventilated patients experience some degree of ventilator-associated pneumonia. 5. Venous thrombosis / blood clots: These blood clots, which commonly appear in the deep veins of the leg, can dislodge and travel to the lungs, frequently resulting in death. There are numerous risk factors for developing this type of blood clot. In many cases, their development can be predicted and largely prevented, provided the medical staff take the appropriate steps. When they do occur, medical providers are responsible for making responsible treatment decisions. 6. 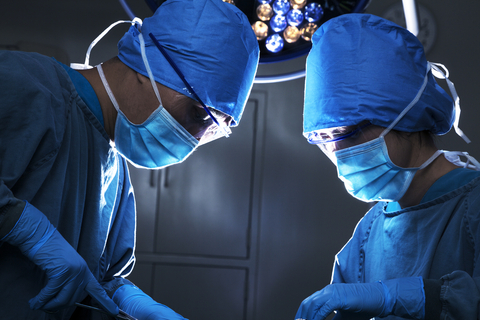 Surgical errors: Surgery often requires quick decisions. Mistakes can occur which have the potential to result in serious injury or death. Errors include operating on the wrong patient, performing the wrong procedure, leaving supplies or instruments inside the patient, other surgical errors, and poor decision-making.